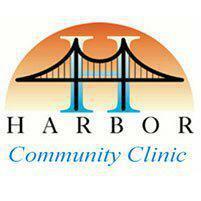 The medical staff of Harbor Community Clinic provides behavioral health services to the residents who live in and around the San Pedro, California area. The facility offers many different types of diagnostic tools and treatment plans. What is involved in a behavioral health evaluation? There are many types of behavioral health issues that can have an impact on how well a person interacts with others. Depression, extreme feelings of anger, confusion, anxiety, panic, various types of phobias, obsessive compulsive disorder, and post-traumatic stress disorder are just a few of the most commonly known. Behavioral health evaluations can help uncover mental health problems that might otherwise go undiagnosed. With a proper diagnosis, many individuals are better able to cope with the stress and frustration they sometimes face while at work or caring for their family. Good mental health care is just as important as quality physical care. When is depression a problem? Every person experiences feelings of depression on an occasional basis. Depression only becomes a problem when the feelings of sadness won't seem to go away. Sadness leads to feelings of frustration, worthlessness, and a lack of self-esteem. In terms of clinical depression, individuals who can not seem to shake the feelings of sadness or who begin to contemplate self-harm or suicide should receive medical attention immediately. Thoughts of suicide or deep depression that do not go away are not considered normal and should never be left to chance. Understanding what causes depression and how it affects the way a person thinks is important when determining a diagnosis. Anger management treatment plans can help a person who has problems with aggression come to terms with what is causing their outbursts and what can be done to correct the problem. Unresolved emotional problems, as well as frustration over things that are out of a person's control, can lead to angry outbursts. Learning how to cope with frustration and addressing unresolved emotional stress are just two ways that anger management treatment plans are used to help people overcome their emotional baggage. Counseling, medication and behavioral therapies can provide necessary tools that each individual needs to work through their emotional issues.